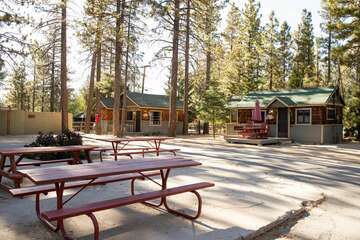 Deep within the San Bernardino National Forest lies Big Bear Lake and the surrounding Bear Mountain area, which is renowned world-wide for its ideal snowboarding conditions and scenic, challenging mountain slopes. Read on to find the best snowboarding in Big Bear, and where to go for the adrenaline rush that you crave, whether it’s your first time picking up a board or your five-hundredth time! Here’s a fun fact about Snow Summit and Bear Mountain Big Bear’s two most popular ski- and snowboarding resorts: Olympic Gold Medalist Shaun White spent much of his youth training on Bear Mountain’s free-style park (the first of its kind, founded in the 1990’s, and popularized freestyle snowboarding) and on the Westridge freestyle run on Snow Summit. You can guarantee that because Shaun White spent so much time here on the slopes, not only are these trails spectacular for developing your snowboarding techniques, but they’re also quite invigorating and challenging! Between the two, Bear Mountain and Snow Summit hold two different mountains. They each sport widely varying mountainous terrain that can fit the skills and abilities of every level of rider. Together, these resorts have an astronomical total of nearly two thousand vertical feet, over two hundred features (including funboxes, jumps, and rails), four hundred and thirty-six acres, four high-speed chairs, and twenty-six lifts. The best part: Snow Summit and Bear Mountain offer interchangeable tickets that can be used at both resorts, where you can take lessons, rent equipment, and buy seasonal passes. Snowboarding trails in Big Bear range from beginner-level to advanced- or expert-level. Bear Mountain, also known as “The Park” for its vastly varied terrain, is home to one of the only superpipes in Southern California. It is a halfpipe that was built specifically for extreme sports like snowboarding and freestyle skiing. Of the two mountains, Bear Mountain is most preferable for snowboarders, though snowboarders will also find Snow Summit a great mountain to practice on. Bear Mountain’s trails include Easy Street and The Gulch for beginning boarders. Upper Park Run, Boneyard, and Gambler are best for intermediate riders. Those with advanced or expert skills may wish to take on Rip’s Run, Outlaw, Geronimo, or The Wedge. Without a doubt, you can’t go wrong with Big Bear CA Snowboarding! 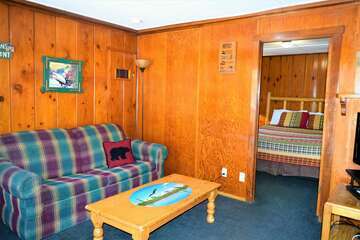 We offer the best cabins in the Big Bear area. 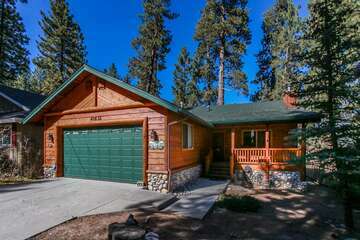 They are situated in the middle of Big Bear’s best attractions and activities, like Big Bear Lake and Bear Mountain. If you’re curious to learn more about what makes Big bear so great, beyond its sweet Big Bear snowboarding spots, ask our friendly reservation specialists. They’re more than happy to answer your questions and give you some insider knowledge on where to go and what to do when you stay with us. Contact Big Bear Cabins today to reserve your very own Winter cabin in the woods of Big Bear and take advantage of the best Big Bear snowboarding around!